Two of the most useful tools to a developer outside of their development environment are version control and bug tracking systems. 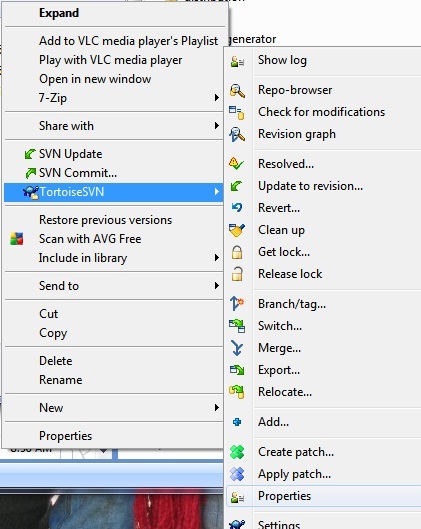 Version control allows tracking of changes to the product and allows for branching and merging. Bug tracking systems allow for tracking issues with the product whether they be bugs or enhancements. Even though these tools are often separate products, they have a major commonality which is the code you are working with. Often times you want to be able to see for any given bug number, what code was changed for that bug. Also, for a change in the code (in version control) you want to see if it was associated with a particular issue in the bug tracking software. At the company I work for we use Subversion for version control and Bugzilla for bug tracking. We have some best practices around these tools to make things easier. The last number is the revision number in Subversion. Recently I came across a neat feature in Subversion that allows you to link it to a bug tracking system. Basically this allows clicking on the bug number in the subversion history view to take you directly to the bug number in the bug tracking software. Enabling this feature is fairly simple to do and involves setting 2 properties in the subversion repository. These properties need to be set on the root folder in subversion that you would use to checkout your project from. It automatically is available for everything in that tree but you need to checkout from this root for it to work. These are the two properties that need to be set. 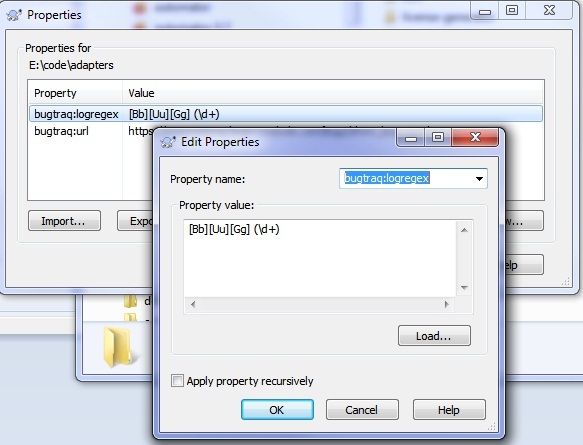 On the root folder of your subversion working copy, right click on the folder and click TortoiseSVN -> Properties. Add each property listed above as new properties to the list.